Show the women in your life how much they mean to you with a set of perfect gifts. The undeniable aroma of the peonies reinvigorate and inspire, for unforgettable moments. Make this an unforgettable day. Moisturizing hand cream with refreshing floral scent of peonies and wisteria. Smoothes and moisturizes the skin. 75 ml. 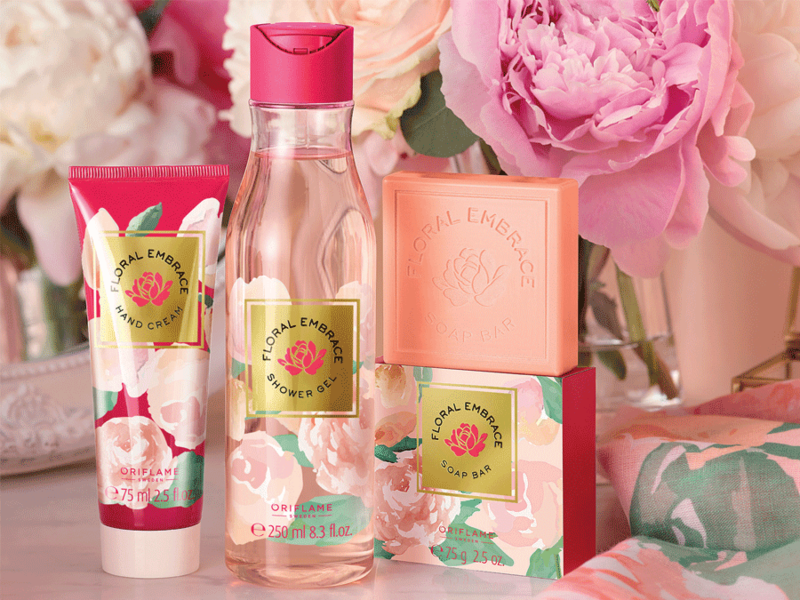 Shower gel with fresh and floral aroma of peonies and wisteria. Gentle cleansing for the skin, without soap and with balanced pH. 250 ml. Soft soap with fresh and floral aroma of peonies and wisteria. Lets go by the wonderfully scented. Includes a stylish box. 75 g.
Scarf with floral pattern in pastel shades. Includes offer cachaça. Material: 100% polyester. Dimensions: 190 x 90 cm.